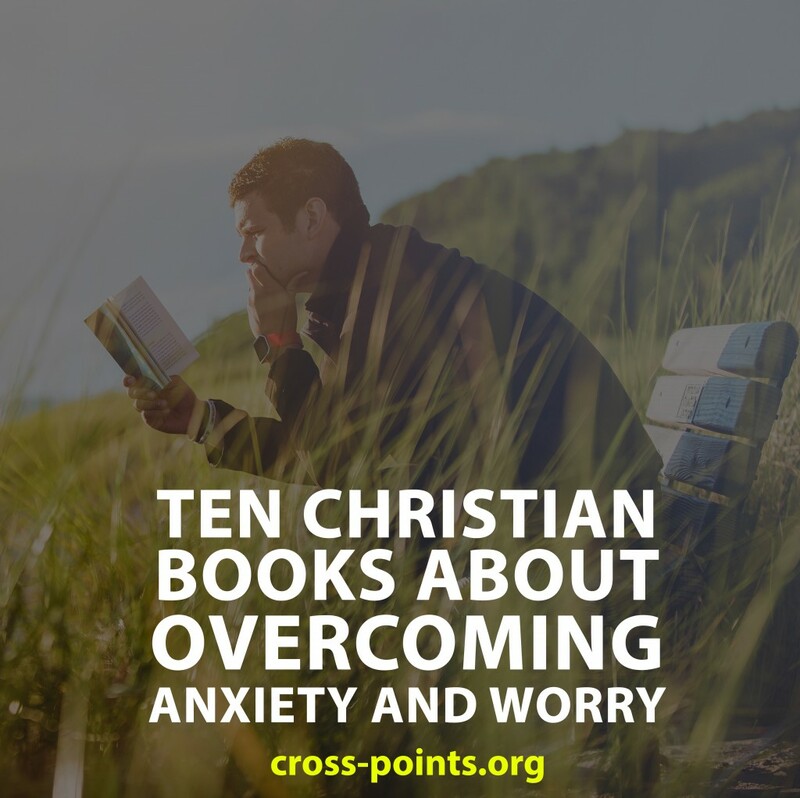 Here are ten Christian books about overcoming anxiety and worry that the Cross-Points team recommends. Is true peace possible in our anxious world? From his time until the present day, Charles Spurgeon’s sermons have captured the hearts and imaginations of listeners and readers alike. 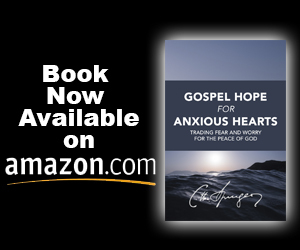 Drawing from this rich tradition, Gospel Hope for Anxious Hearts leads readers from fear and worry to the peace of God that passes all understanding in Christ Jesus. Readers will be challenged and empowered for overcoming anxiety through the healing balm of the gospel. Read 40 quotes from Gospel Hope from Anxious Hearts. Anxious for Nothing Description: Stress has become part of our daily lives. We worry about our jobs, our relationships, and our families. And while there’s no lack of remedies for anxiety, no solution seems to offer true peace of mind. In Running Scared, Edward T. Welch investigates the roots of fear in the human soul and the ramifications of living in the grips of anxiety, worry, and dread. 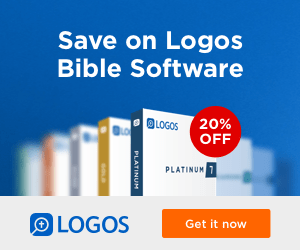 Welch encourages readers to discover for themselves that the Bible is full of beautiful words of comfort for fearful people (and that every single person is afraid of something). Within the framework of thirty topical meditations, Welch offers sound biblical theology and moment-by-moment, thoughtful encouragement for life-saving rescue in the midst of the heart and mind battlefield of rampant panic-stricken responses. This comprehensive primer on the topic of fear, worry, and the rest of God will have readers retreating to scripture for invariable constancy, stalwart care, and robust comfort, instead of as Welch terms it hitting the default switch by responding with characteristic human independence, control, and self-protectiveness. If you are tired of dealing with anxiety and worry on your own, then CCEFs When I Am Afraid: A Step-by-Step Guide Away from Fear and Anxiety is for you. As you go through each set of meditations by biblical counseling expert Edward T. Welch, anxiety will gradually yield to hope, peace, and rest. Of course, this is a lifelong process, but going through this devotional guide, either on your own or with a small group, will kick-start the process and bring lifelong change. Elyse Fitzpatrick, coauthor of Women Helping Women (a GoldMedallion Finalist), offers practical advice for conquering the paralyzing emotions many women encounter as they battle difficult, often overwhelming concerns about rebellious children, problems in the workplace or home, health issues, financial difficulties, and more. Women will find comfort and encouragement through real–lifeexamples of how others, including Elyse, cast their cares upon God and experience His strength and love. Mindscape builds a practical action plan for changing your mental landscape—and your life—based on Paul’s rich exhortation in Philippians 4:8. Author Tim Witmer draws from thirty years of experience in helping worried people apply Scripture to their lives to present a clear, biblical, and deeply pastoral guide to replacing worry with a new way of thinking. Mindscape is not a self-help book or an academic tome on behavioral theory. It is a real-world guide to the transformation that Jesus works in us as we go to him in faith and ask for his power to change, to listen, and to think differently. Chapter-by-chapter application questions make Mindscape perfect for personal reflection or small group use. Many Christians believe the answer to this question is yes! Understandably, then, many Christians feel shame when they are anxious. They especially feel this shame when well-intentioned fellow believers dismiss or devalue anxiety with Christian platitudes and Bible verses. Rhett Smith, Licensed Marriage and Family Therapist, helps us understand anxiety in a new way. Rhett argues that, rather than being destructive or shameful, anxiety can be a catalyst for our spiritual growth. Using Biblical thinking and personal examples, Rhett explains how anxiety allows us to face our resistance and fears, understand where those fears come from, and then make intentional decisions about issues such as career, marriage, money, and our spiritual lives. Allow this book to challenge your view of anxiety, and allow God to use your anxiety for good. Pastor John Piper shows how to sever the clinging roots of sin that ensnare us, including anxiety, pride, shame, impatience, covetousness, bitterness, despondency, and lust in Battling Unbelief. When faith flickers, stoke the fire. No one sins out of duty. We sin because it offers some promise of happiness. That promise enslaves us, until we believe that God is more desirable than life itself (Psalm 63:3). Only the power of God’s superior promises in the gospel can emancipate our hearts from servitude to the shallow promises and fleeting pleasures of sin.